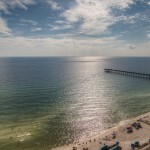 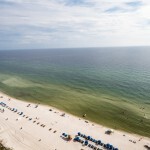 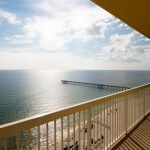 For rental investment, Calypso Resort and Towers is difficult to beat. 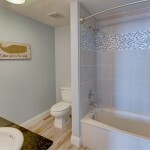 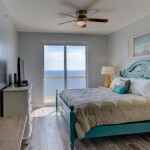 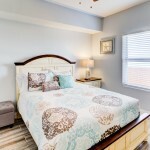 Calypso is ideally located on the west end of Panama City Beach, directly on the gulf, within walking distance to the area’s most popular shopping, dining, and entertainment hub – Pier Park. 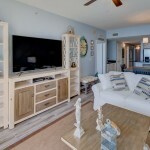 Owners and guests enjoy first-class amenities including two gulf front lagoon-style pools (one of which is heated seasonally), a poolside Tiki Bar, and a fitness room, plus over 500ft of beach frontage. 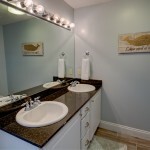 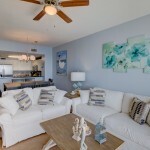 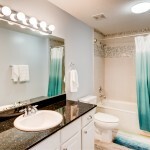 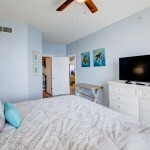 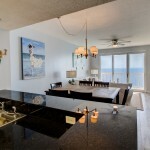 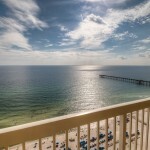 Many of my clients are exceeding $50,000 and $60,000 in rental revenue on their 2 bedroom Calypso Resort Units. 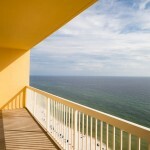 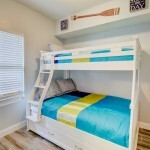 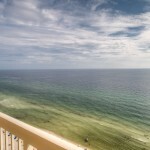 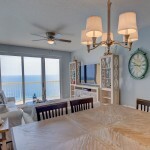 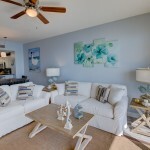 One of the most popular floor plans at Calypso is the 2-bedroom plus bunk room plan, which features a Gulf front master. 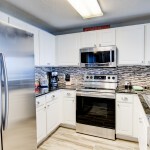 This floor plan is highly coveted for it’s rental demand. 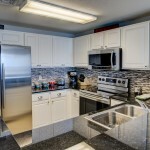 Here’s your chance to own a premium, turnkey unit with arguably the most popular floor plan. 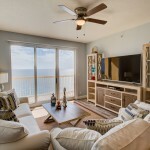 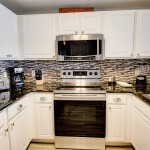 Calypso unit #1-2106 is newly renovated with all brand new stainless steel appliances, rustic wood-style tile floor, tile showers, and furnishings throughout. 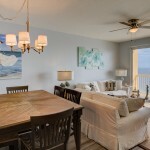 Other features include granite countertops in the kitchen and bathrooms, a wet bar in the living area, and private oceanfront balcony which can be accessed from the living area and the master suite. 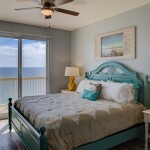 The gulf front master suite is a retreat of its own, boasting stunning ocean views, access to the private balcony, a walk-in closet, and a private en suite bath with double sink vanity. 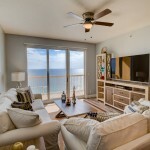 Calypso unit #1-2106 sells turnkey rental ready with brand new furnishings and dozens of upgrades, so there’s no need to wait to make a return on your investment. 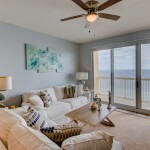 Buy today and rent right away!